A picnic in our castle park is one of the most beautiful experiences at Chateau Heralec. Resting in the shadows of the majestic tree canopies, you can enjoy various delicacies from our castle kitchen. Birds chirping in the background provide an almost too good to be a true element and if you’re lucky, you can spot one of our many cute squirrels. You can also take one of our picnic baskets with you on a trip around the region. Whether it is to our castle quarry, nearby ponds or a cultural monument in the area, you can take our castle convertible, drop the picnic basket in and ride away. 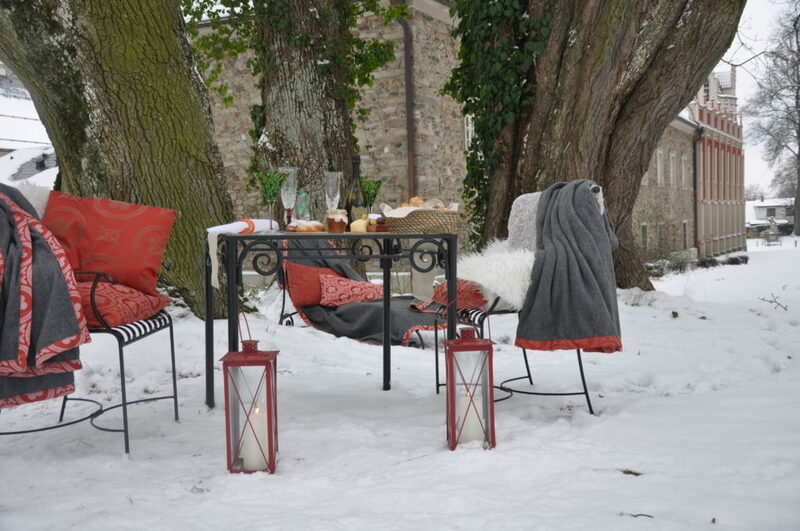 A large comfortable blanket is part of each picnic basket. If you are interested in a picnic basket please inform the reception or bar at least an hour in advance. Thank you.